Check out both decades-old local haunts and trendy new food boutiques alike in Los Angeles’ most underrated beach town. No doubt you’ll find yourself wondering why it’s the best little beach you’ve never heard of! Thanks to Hollywood (and even the food television world), the city and county of Los Angeles capture the imaginations of travelers the world over. My international readers certainly would recognize Hollywood, Beverly Hills, Malibu, Santa Monica, Venice as cities and towns within LA. Those more familiar with the area might also add Inglewood, East LA, Manhattan and Hermosa Beaches, among others. But Playa del Rey is less likely to rise to the top of your list of places to visit while in Los Angeles. It certainly is one of mine, however! I would say it should be, but then visitors could ruin the sleepy, friendly small-town vibe of this neighborhood. Nestled between the natural barriers of Marina del Rey and wetlands to the north and east and LAX (the airport) and Manhattan Beach to the south, it’s not the easiest location to stumble upon, nor is it chock-full of shops and restaurants that target tourists. Instead, Playa consists primarily of one main street, Culver Boulevard, which is surrounded cliffside/hillside residential neighborhoods above and smaller, more dense housing areas known to locals as The Lagoon and The Jungle, respectively. That’s it. About a dozen cafes, restaurants, and bars line Culver Blvd. Many of them have been serving food, coffee, and booze to locals for decades. Tanner’s Coffee – except for the free WiFi signs – seems frozen in the 1990s coffee counterculture but is too knowing to try to be hipster. It’s like the hipster who grew up a bit more mellow and less self-aware. But I love it. It reminds me of a couple of coffee shops from college. Across the street, Cafe Milan is a sure bet for a more leisurely, full breakfast or lunch with a wide and tasty menu. Try the California Omelet, which of course includes avocado. 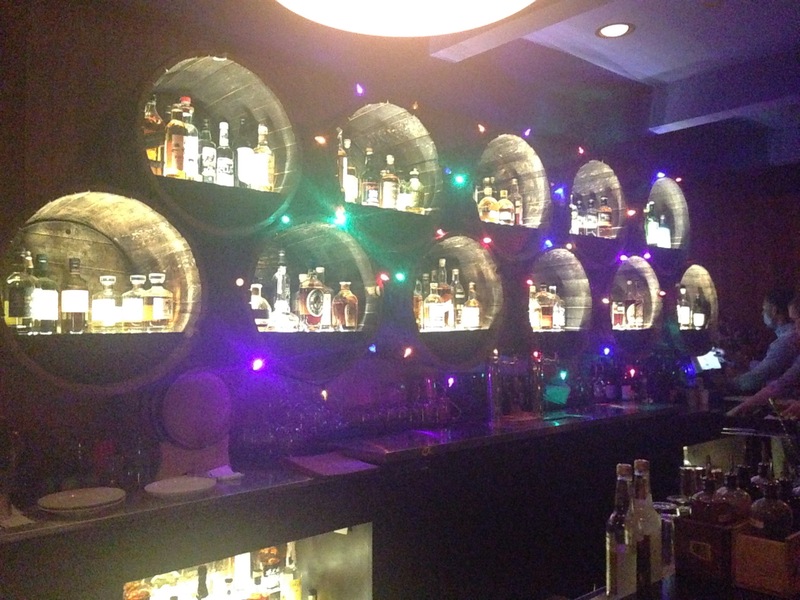 For the bar scene, Prince of Whales is a sprawling dive bar that encompasses several rooms and a patio area. You’re likely to encounter weekly drama, a musical act, and perhaps an eye on under-the-table recreational drug use there. 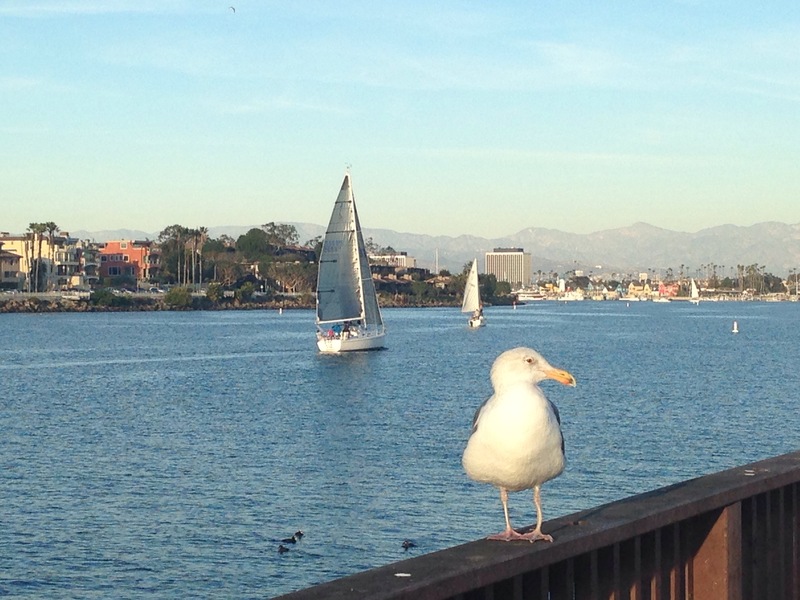 Mo’s, The Shack, and Harbor Room nearby offer a change of scenery for the locals. I hear the Shack’s Friday night karaoke is legendary. Ok, perhaps I’ve participated in that one… Mo’s also serves “good that is actually good” for very reasonable prices, or so I hear. Cantalini’s and Cafe Pinguini are also local favorites for those craving Italian. In 2011, the celebrity chef world enveloped Playa del Rey with the opening of The Tripel, a casual but internationally inspired “New American” gastropub. I visited The Tripel in 2012, and I instantly loved it for its sweet potato tater tots, killer pretzel burger, and arguably, Playa’s only selection of truly good wine at the time. It later garnered more attention and an influx of LA foodies with the success of its chef/owner Brooke Williamson, as the runner up of Bravo’s Top Chef in 2013 (I sadly watched her elimination then). Since that success, Williamson and her husband opened nearby Playa Provisions inside the former Playa Cantina building. Playa Provisions is a 4-in-1 concept restaurant that houses a casual fine dining room, whiskey bar, to-go market, and ice cream shop. I had the good fortune to try out Playa Provisions. Though the dining room was booked, we found easy 8 pm seating in the whiskey room, Grain, where Dockside’s full menu is offered, in addition to bar bites.I’d had a huge late lunch at La Super Rica Taqueria in Santa Barbara (read my last post! ), so I was looking for a lighter meal. First up, however, was my drink selection. At a whiskey bar, a Ginger Highball seemed like a great idea. 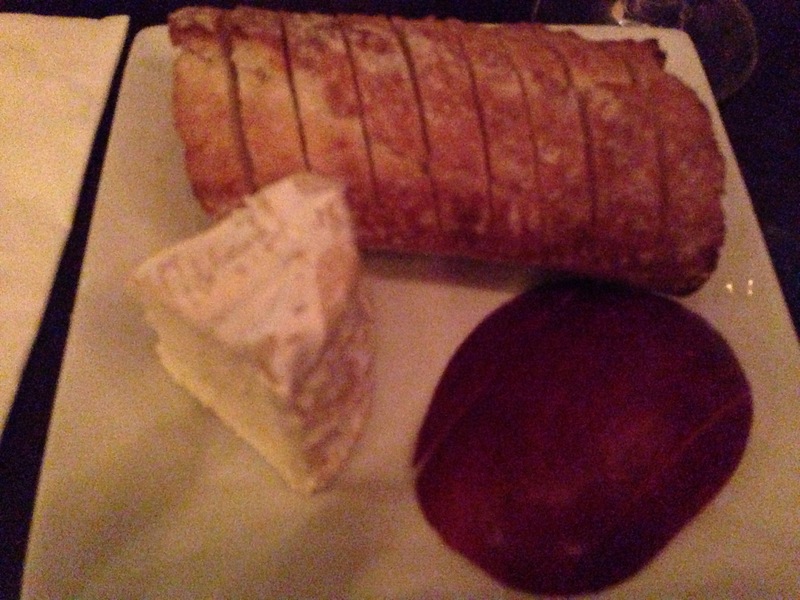 It was until I ordered a cheese board (who drinks a sweet bourbon cocktail with good cheese?!) 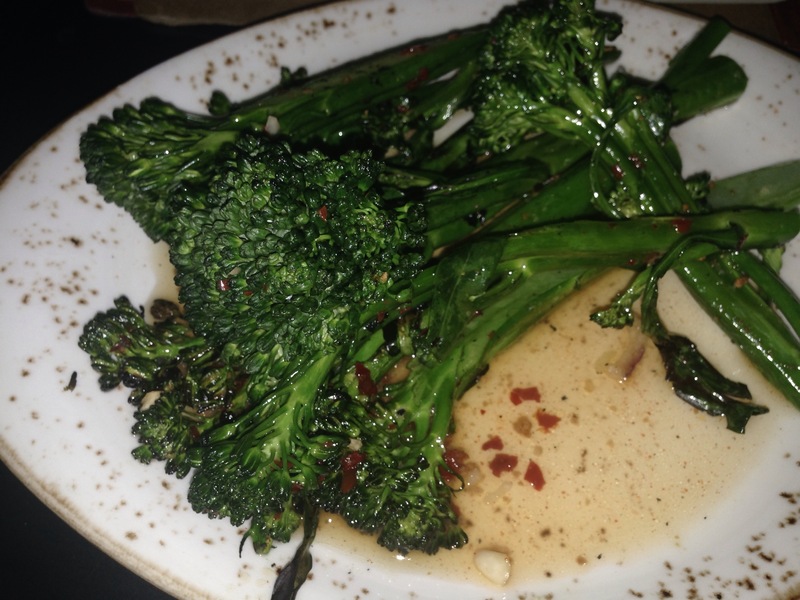 and their charred broccolini with chili vinaigrette – which, for the record, pairs just fine with the ginger highball. 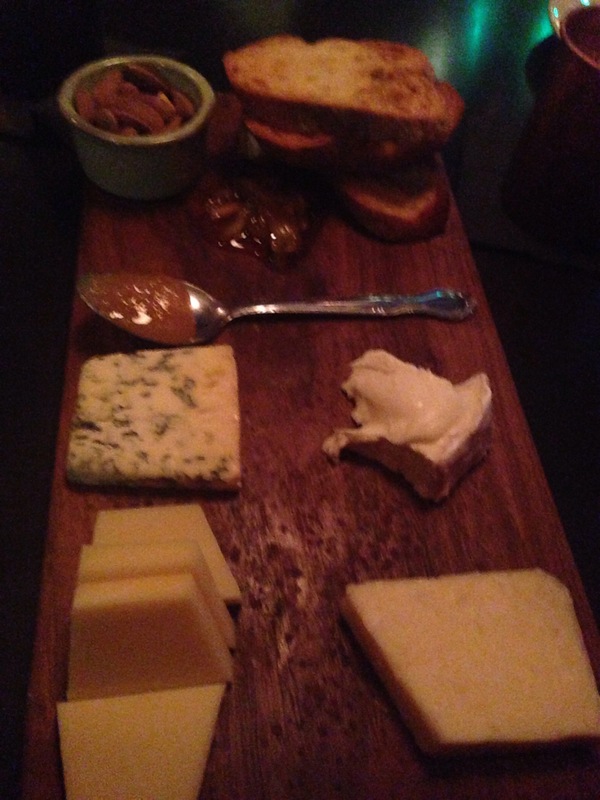 The cheese board was not inexpensive, but it provides generous portions of some great cheeses – a soft, French cow’s milk, a Gruyere, a Cabot Clothbound Cheddar, and a California bleu – along with tasty accoutrements. A glass of wine was much needed, and the bartender accommodated my tasting and search for the perfect selection. I settled on my old standby, a Mendoza Malbec. 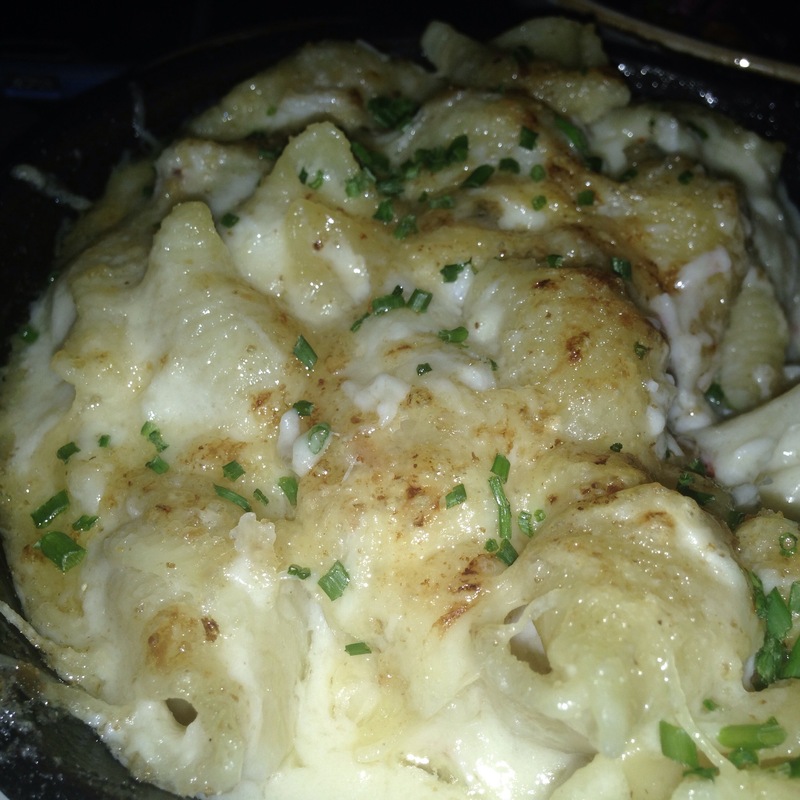 My friend ordered the Dungeness crab Mac & cheese (delicious!) and a beet and tomato salad (light on the tomatoes). 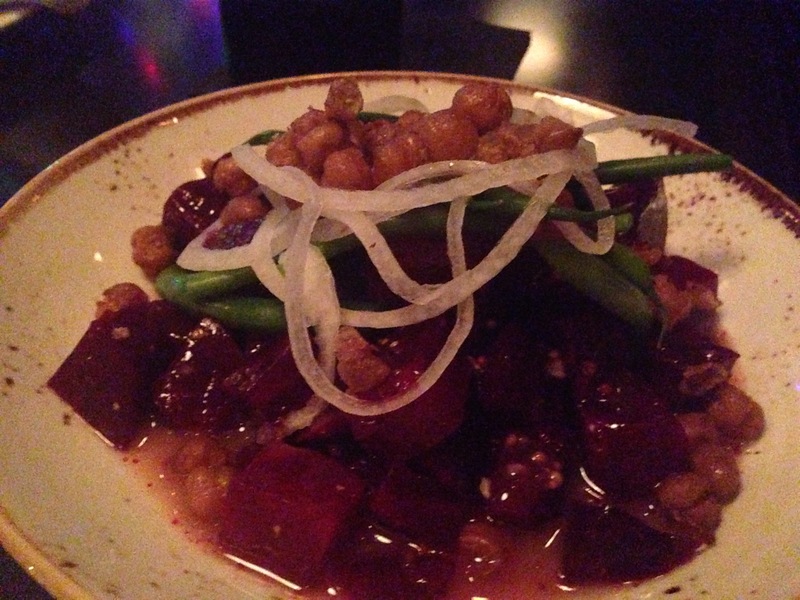 Before I left the PDR, I had to try one last fancy addition to Playa’s food scene: Bacari PDR. 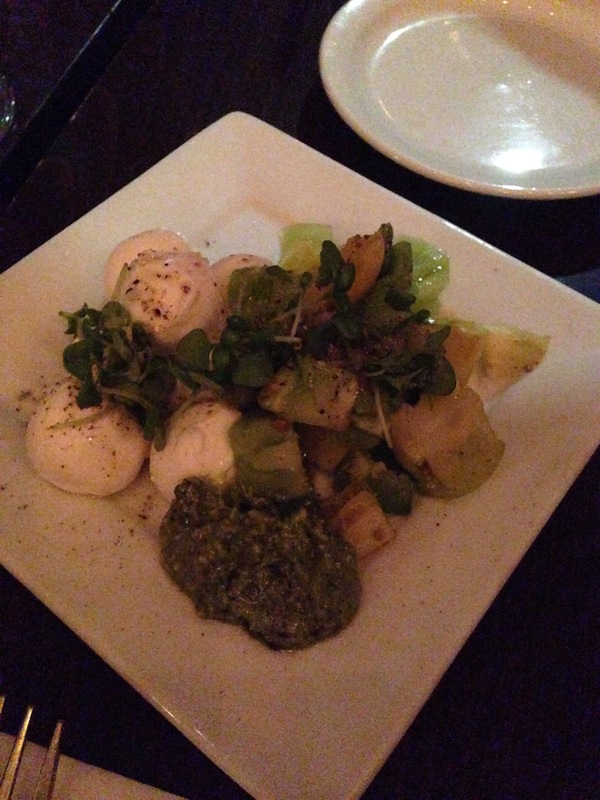 Bacari, occupying the small structure that formerly housed a tiny French restaurant, brands itself as a wine bar and purveyor of cicchetti – Italian-inspired small plates. On the beverage side, I enjoyed their house red wine blend, and I tried a sip of a friend’s Old Cuban – which she affectionately called “Fidel”. The latter is basically a mojito (shaken, not on the rocks) with champagne added. I’m ready for that one to go national. Or at least up the coast. Bacari’s menu offers plenty of unique, Italian-American alternatives to traditional Spanish tapas. 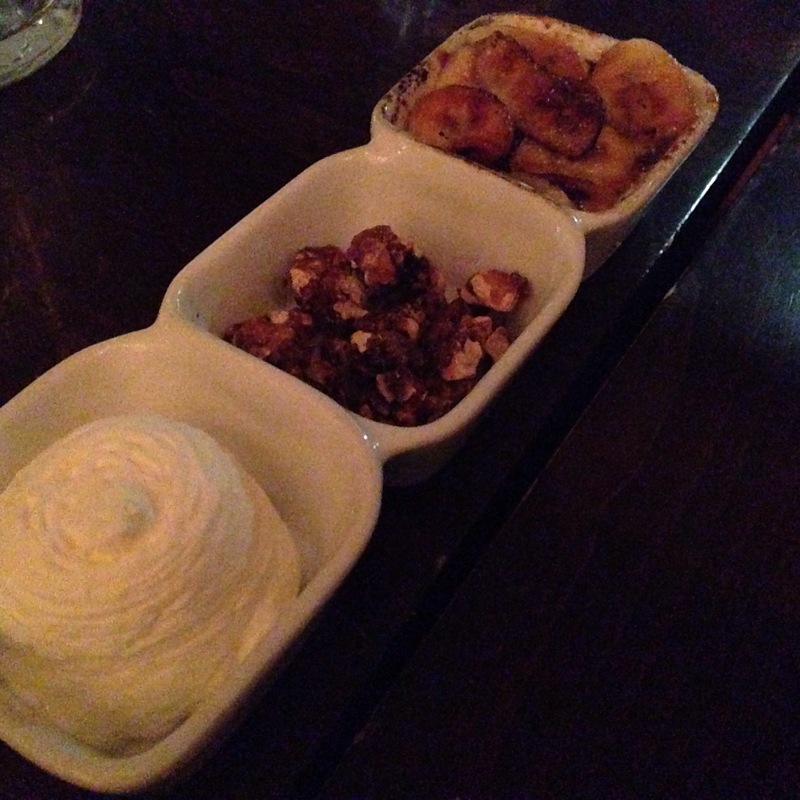 Order three dishes and save money – a nice change of pace for a higher-end restaurant! Grilled mini pizzas, hot and cold cicchetti, and cheese and charcuterie. Again, a late lunch kind of dampened our appetites, so I went light with a single cheese selection – an excellent, über rich French delices de cremiers with apples and served with a warm demi loaf of crusty bread. 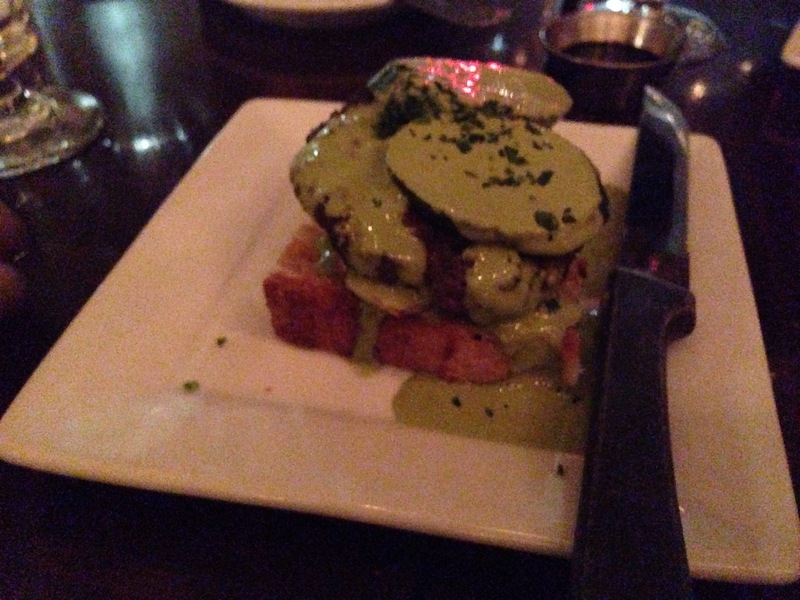 I ordered the lamb burger as well, served open-faced atop a thin slice of sourdough bread and smothered with a kale tahini sauce that carried a small hint of jalapeño or other chile. The sauce was memorable; the burger itself was a tad bland. I tried my friends’ pizza and mac & cheese. The latter was not as rich and cheesy as Playa Provisions’ version, but the flavor was perfection – more of a fondue laced with white truffle oil and topped with breadcrumbs. I couldn’t resist their dessert selection, especially after I saw a neighboring table order my coveted brown butter cookie dough dessert. Yes, you read correctly. A small ball of cookie dough is surrounded by a warm chocolate ganache subtly spiced with cardamom and served with caramelized walnuts and whipped cream. Thankfully for my waistline, it was a small portion. My recent visit to the PDR definitely was chock full of great meals – both from old favorites and newcomers that have elevated Playa del Rey on LA’s foodie map. I would encourage everyone to check out this hidden gem of a beach town themselves – but then that might be counterproductive. Sooooo, why don’t you just leave it our little secret?